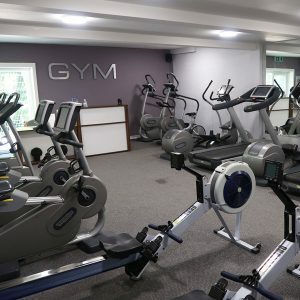 The gym has a floor area in excess of 4,000 square feet and is divided into a cardiovascular section, a fixed resistance machinery area and a free weights and stretch area. 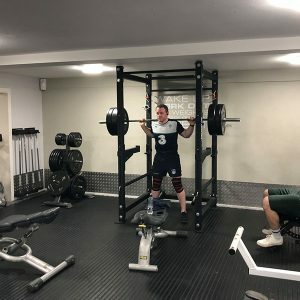 The gym has a really friendly atmosphere and a fully qualified member of staff is on hand at all times to assist with your induction or help with your training programme. State of the art cross trainers, upright and recumbent bikes, treadmills and rowers. There’s a great selection of weights, adjustable benches, swiss balls, a smith machine and presses. 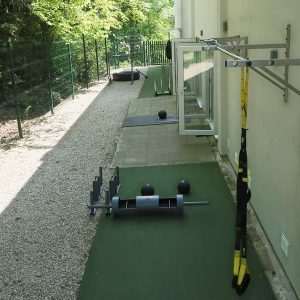 Our, fully equipped, all season outdoor training area is a first in Harrogate and is well used year round. All new members are entitled to a FREE Personal Training appointment on joining. Check out our fantastic range of fitness classes, that run regularly. 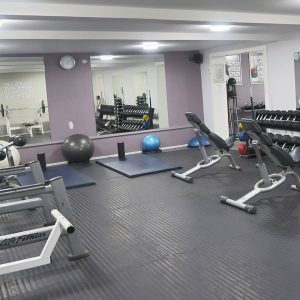 If working out in the gym alone isn’t for you, we have a range of fitness classes, run in the studio. There is something for everyone.